Groundwater has emerged as an important source to meet the water requirements of various sectors including the major consumer of water like irrigation, domestic and industries. To meet the water requirement of rapidly expanding urban, industrial and agricultural sector of the country in a sustainable manner, optimum groundwater utilization is of fundamental importance. Reliable and periodic estimation of groundwater resource, is, therefore, a prime necessity for planning groundwater management such as artificial recharge, regulation of groundwater use, etc. These estimates form one of the key indices for identification of areas for implementation of various government-sponsored schemes/programmes. Groundwater being a dynamic system, the methodology for assessment requires continuous updating keeping abreast with the evolution in technologies. At grassroots, the technologies should be cheaper, reliable and simpler in usage. In this mammoth exercise of assessment of water resources, various organizations such as government and non-government join hands for this cause. Rural Technology Action Group (RuTAG) at IIT Delhi is an initiative of the Principal Scientific Adviser to GOI in providing technical interventions at grassroots for rural betterment, has taken up initiative to improve a low-cost and robust groundwater-level measuring device as requested by an NGO working for state water board in collecting data of groundwater in and around Chirawa, Rajasthan. The existing gadget developed by the NGO was unreliable and often give a false reading. This paper presents an overview of the development of robust and low-cost groundwater-level measuring device and its field testing. The authors sincerely thank the financial support from the Office of the Principal Scientific Advisor to the Govt. of India, Vigyan Bhawan, New Delhi for its support to RuTAG (Rural Technology Action Group). The encouragement of Dr. Ketaki Bhapat (Scientist ‘F’), Maj. S. Chatterjee (Ex-Sr. Project Consultant), Prof. R. R. Gaur (Chairman, RuTAG IIT Delhi) and Prof. S. K. Saha (PI-RuTAG IITD) are highly appreciated. The author also acknowledges the contribution of Mr. Raj Kumar Gupta (Sr. Project Assistant RuTAG IITD) and Mr. Mangal Sharma (Project Attendant RuTAG IIT D). 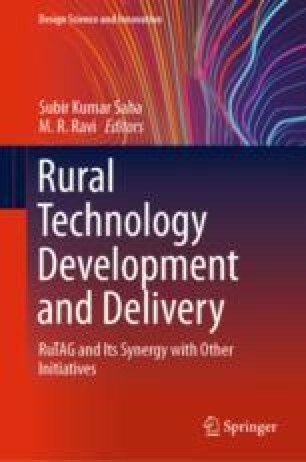 The authors also thank the field agency (NGOs), Ramkrishna Jaidayal Dalmia Seva Sansthan, Chirawa for their support and feedback associated with their technology.